Turkeys ruling AKP party lost the parliamentary majority in Sundays election, but investors, waiting to see what sort of coalition will emerge, are still hopeful. Turkey’s ruling AKP party lost the majority in Sunday’s parliamentary election, but while waiting to see how and what sort of coalition government will emerge, investors are still hopeful that the change in politics could lead to a shift in economic policy and the kind of structural reforms that are not just market friendly in nature, but are much needed for the future of the Turkish economy, or a deepening of the problems the country is currently facing. Things will become clearer in the coming weeks, said Alec Moseley, senior portfolio manager for emerging markets debt relative at Schroders in New York, and it’s only then that investors will get a sense of whether the pro-growth, “market unfriendly” policies of the government of President Recep Erdogan, will continue, or whether they were just a part of the pre-election rhetoric. The path Turkey has followed in recent years has not done the economy any favors, Moseley said. The country faces stagnation and high unemployment, it has an extremely low savings rate and is highly dependent upon global economic cycles. The fact that the Turkey, an oil-importing nation, could not make the best of the downturn in oil prices to turn its economy around only underscores how vulnerable it is to external cycles, he said. Despite the success of reforms implemented by Erdogan’s AKP party in the early part of its rule, Turkey faces a number of issues that threaten to undermine long-term economic prospects, said Phoenix Kalen, emerging markets strategist at Societe Generale in London. “GDP growth has slowed while unemployment has climbed higher since mid-2012, in the midst of structural issues including inflexible labor markets and sticky high inflation,” Kalen said. While corporates have been able to roll over short-term funding requirements, deteriorating corporate profitability continues to be a problem that is likely restricting investment activity. One of the main issues that investors are concerned about is the independence of Turkey’s central bank and its ability to make the right kinds of policy decisions to, among others, improve the current account balance, raise the savings rate and reduce the country’s dependence on foreign borrowings. Investors are hoping that the government will not further tighten its hold on the central bank after the elections, but Richard Segal, credit strategist at Jefferies in London, believes that despite the tension between the central bank and the Turkish government, the former has remained pragmatic and fairly independent. “It has done what is right and fiscal policy has remained quite level headed,” he said. If the structural reform agenda gets back on track, then Turkey has a number of positive attributes that make it quite attractive as an investment destination. 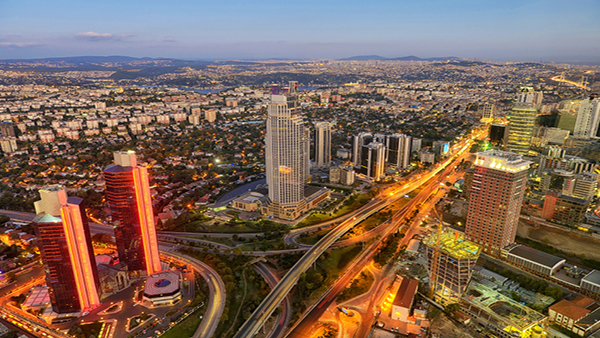 It has a fairly vibrant business sector and a young, entrepreneurial population that wants to stay and work in Turkey, so it doesn’t face the brain drain and many other emerging markets have to contend with. The Turkish stock market also offers good value now because of the sell off ahead of the election, Segal said. However, Turkey’s deep-rooted problems are likely to offset most investors’ interest in the market. “We see only a 35% market-favorable outcome following these elections,” Kalen said. The AKP won 41% of the vote while the pro-Kurdish HDP Party, which gained considerable ground in the days leading up to the election, successfully expanded its position, thereby raising the importance of a peace process with the Kurdish population — an issue that has been a constant in Turkey and raised greater tensions under Erdogan. Erdogan himself is a polarizing figure and many Turks have resented his style of government. “We believe that political noise may still persist in Turkey post elections. Furthermore, we have seen limited evidence thus far that the government will achieve the goals laid out in its new structural reform plan,” Kalen said.